Welcome to the EasyInsure Home Inspectors Insurance program. We cover all of your insurance needs while making it easy to purchase and manage your policy either online or over the phone. Our Home Inspector Insurance Program is available in British Columbia, Alberta, Saskatchewan, Manitoba, Ontario, Nova Scotia, Newfoundland, New Brunswick and Prince Edward Island. Why do you need both E&O Insurance and General Liability Insurance as a Home Inspector? At EasyInsure, our Home Inspector insurance program provides coverage for both Errors & Omissions (E&O) insurance as well as General Liability insurance. As a Home Inspector there are many operational risks you face. Our comprehensive insurance package was designed by leading professionals in your field to ensure your professional and general liability risks are properly covered. 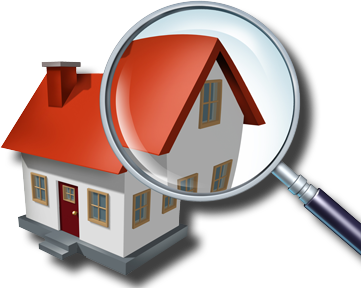 Home Inspectors Errors & Omissions (E&O) Insurance, also referred to as professional liability insurance is often defined as a form of liability insurance that protects or defends a professional opinion, advice or service. This coverage provides protection for professionals from negligent acts, including legal defense coverage and damages awarded in a civil lawsuit. For Home Inspectors specifically, our E&O insurance policy covers you for the defense of and damages caused by claims made against you for missing or failing to report something during an inspection. Our coverage also pays the cost of defending you against inspection items which are excluded in your inspection contract. Bodily Injury or Property Damage - In the event that a home inspector becomes legal liable for “bodily injury” including pain and suffering, sickness or disease, or death, the bodily injury portion of the commercial general liability insurance policy offers protection. Property damage - coverage applies where property damage occurs to tangible property, including loss of use, or where loss of use occurs on property that is not physically damaged. Personal Injury - Personal injury protects the home inspector for injuries which he or she becomes legally liable for. Products and Completed Operations - Products and completed operations coverage extends to those bodily injury and property damage claims which are a result of the home inspectors products or completed operations.